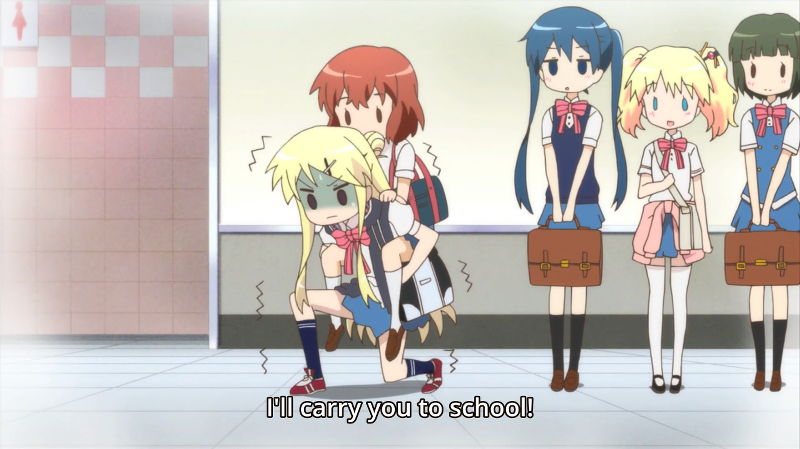 Kiniro Mosaic is a better show then K-on! I’m not exactly sure what that statement says. 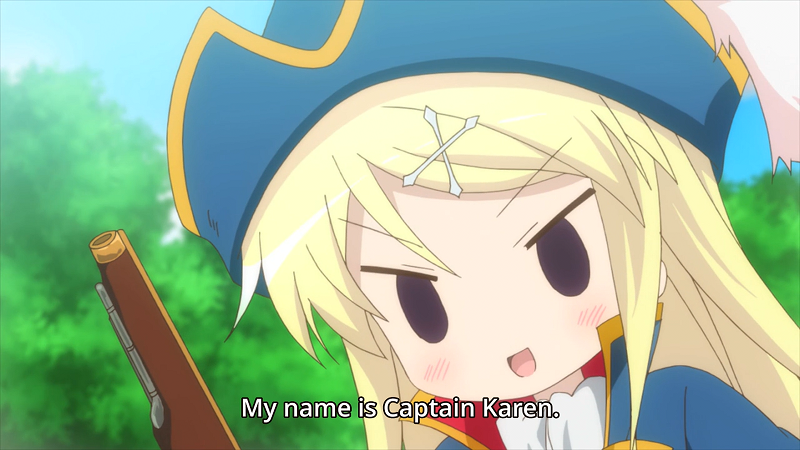 Kiniro Mosaic is a great show, and I think I really dismissed it by saying it’s just another slice-of-life. It’s a really good slice-of-life that has a unique charm to it that I enjoy. Kiniro Mosaic doesn’t take itself seriously, and the stories tend to feel unique and fresh even if they’re cliched ideas–with the exception of the beach episode (S2E10). That sucked. My only complaints is with the characters. The characters are far from being just cardboard cutout archetypes placed in cute girls bodies, but sometimes it feels like their personality traits or quirks are a little over exaggerated. While this can sometimes be entertaining, it’s really hit or miss. 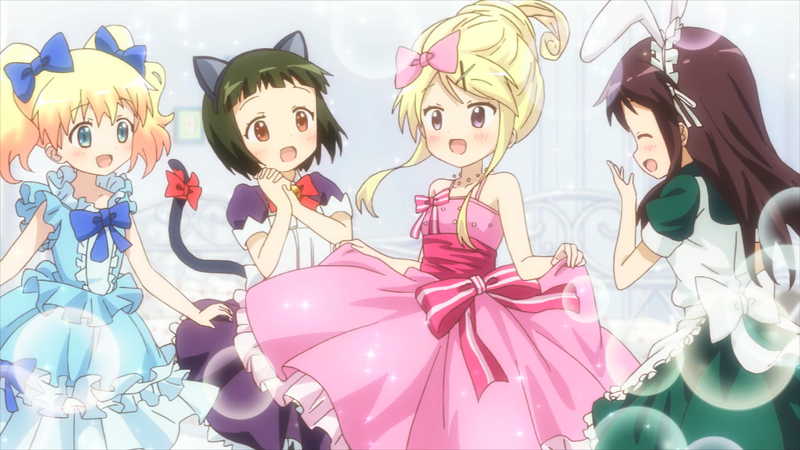 I think Kiniro Mosaic could easily become my go-to slice-of-life. Besides entertaining stories, it’s has other things, such as the outfits Shinbou made. The characters from England and their Engrish. The final musical episode of season 1 which includes characters as a pirate. And overall the series has an innocent feel and sense of fun that makes it a very fun slice of life to watch, and keeps it from falling into the problem that other slice-0f-lives can run into where they can be incredibly boring. For anyone who likes slice-of-life, this is a must-watch. It’s alright, and I’ll agree that it’s more entertaining and endearing than K-on, but my go-to slice of life is still Aria. A lot of it is because K-On hasn’t aged well. I’ve never seen Aria, but I’ve heard many great things. What makes it stand out? It’s mostly because it’s an iyashikei series, so it’s designed to put you in a calm mood. Everything about it is laid back and charming, and for me it’s the perfect series to wind down with before bed. On top of that, it actually does build on itself to deliver surprisingly powerful emotional moments, even if they’re not designed to be cryfests or dramabombs. It even has a pretty great finale. Of course it’s not for everyone, and it might take a good half a season for it to properly click with some (like me), but once it does it’s usually a joy to watch.